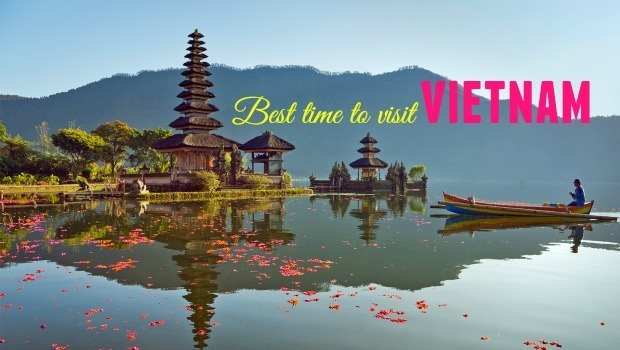 Home » Vietnam Travel » When Is The Best Time To Visit Vietnam? When it comes to traveling, one of the very first questions coming to mind of travelers is deciding the best time to depart. There comes the time for vacation and holiday and then suddenly the question like “When does it is the best time to visit…” produces new nerves. In reality, even if you do the search or ask for consultation on the best time to visit a country, chances are, the advice given is not the one you could afford to plan it exactly as recommended. But, keep calm: for Vietnam, you always find something interesting to see and somewhere attracting to visit at any time of the year. In simple words, anytime could be a great time to visit in Vietnam. There are different weather patterns in Vietnam (Việt Nam), from North to South, giving each time of the year a certain advantage. Moreover, everybody has a preference: some could not tolerate the heat; some do not want to be in crowded areas while others may prefer to meet locals and feel the tradition and culture. Thus, each season or month in Vietnam will meet different expectations, if not all. So, if you ask me: “What is the best time to visit Vietnam?” we simply could not give you the exact answer. However, hope that with this guide, you can decide one for your condition. Is this the best time to visit Vietnam? Well, the weather in Vietnam between January and March is featured with occasional light right and cool in the North, dry and warm in both the centre and south areas. The temperature in the capital of Hanoi (Hà Nội) and Ha Long (Hạ Long) g often ranges from 15 to 22, in Hue and Hoi An (Hội An) from 22 to 32, and in Nha Trang (Nha Trang) and Ho Chi Minh City (Hồ Chí Minh) City from 28 to 35. 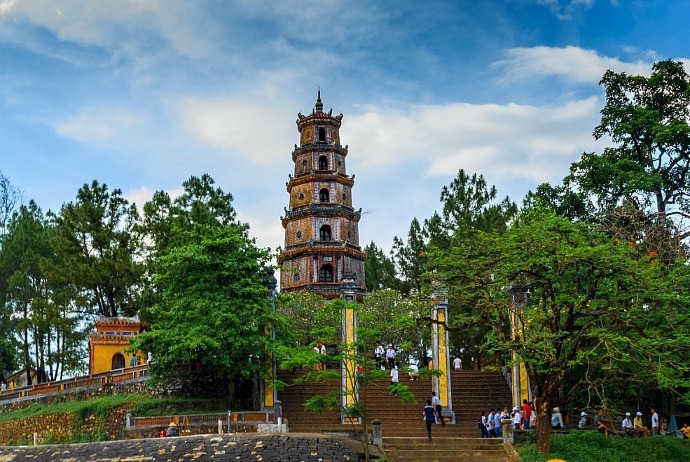 If you want to trek early in the year to the mountain areas of the North of Vietnam, then you should make sure that you bring extra coat in order to keep warm. The temperatures in mountainous areas like Sapa could drop to about 0 point. The time from January to March in Vietnam also witnesses colorful festivals carrying out throughout the country, including Tet Nguyen Dan (Tết Nguyên Đán) Festival. Nonetheless, there are some precautions necessary to be taken when traveling in late January as well as early February in order to have the best experience, such as transportation, accommodation, sightseeing, food and shopping related issues. 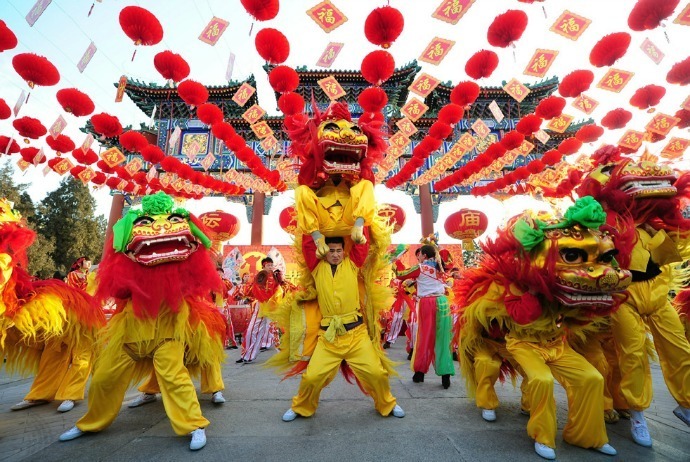 Towards March, it gets warmer day by day and the intensity of festivals in Vietnam lessens. And from mid February to mid March, the volume of tourists in Vietnam is at the lowest level of the year for both domestic and international travelers. From April to June, it is an unpredictable time with the transformation of season from spring to summer. Over many years, April 30th holiday experienced occasional light rain with cool weather. Towards June, temperature increases, which is rather similar to the humidity. The Center area of Vietnam features with wet weather from April to May while the South as well as Southern Coast remains hot dry weather during this time. Vietnamese families usually do not take off till the mid June as their children still learn in school till late May. It means that if you decide to travel prior to late May to popular tourist destinations like Quy Nhon (Quy Nhơn), Nha Trang, and Ha Long (Hạ Long) Bay, you still have space to breathe. A suggestion for you to consider when traveling in Vietnam is to visit Hanoi and Saigon from April 30th to May 2nd, coinciding with Vietnam’s long holiday. During this time, you will find those cities somehow empty because families taking off: clearer fresh air, fewer traffic jam, and ideal time to visit tourist spots and museums. To sum up: low domestic tourist season, fine weather, not many festivals and events. It is worth noting that Vietnamese people hardly travel alone or solo, most of them travel in family form or in friends or like-minded forms. So, the period from June to early September is the time when there are an increasing number of domestic tourists crowding in mountain and beach retreats. It is because Vietnamese parents usually wait for their children to complete school for summer holiday. Popular places attracting a lot of tourists are Sapa, Halong (Hạ Long) Bay, Da Nang (Đà Nẵng), Nha Trang, Phu Quoc (Phú Quốc) which see lines after lines of tourists. During this time, hotels will often be full, food price increases significantly, and the worst of all – tourist sites of all sorts will be full with people. In regard to weather, it is a wet but hot period. Though it might not an ideal condition for traveling, for sun and beach lovers, they could not find any better time to visit Vietnam than this. From top north to bottom south, throughout Vietnam, you will see the golden sunlight shining from early morning to late afternoon, and the evening often gives way to thunderstorm. If you are from any tropical country, then it is great as you may be already accustomed to this kind of weather. In case you are not, then bringing some sun-screen creams or sunglasses is a good idea to avoid sunburn. If you are not in favor of crowds, then avoid traveling off the city during every weekend. This is considered as the golden time to visit areas in the north area of Vietnam, including Sapa, Hanoi (Hà Nội), Ha Long (Hạ Long) Bay, and many other places nearby. This time, the wind is gentle and the sky is rather clear. When the time gets closer to the last month of the year, the temperature drops and people could not realize that they are staying in a tropical country anymore. In addition to many colonial establishments, in downtown area, Hanoi will definitely charm you like what many romantic capitals like Paris often does. Late September and early October is considered as a great chance for tourists to travel up north area like Sapa, in order to see beautiful colors of terrace rice paddies which are ready for harvest. This time in the northern part of Vietnam could be featured with the words “tranquility and romance”. The temperature is rather moderate with the average temperature fluctuating around 20 C degree. What makes your trip more enjoyable during this period is the dry air, especially for those who walk or stroll around. 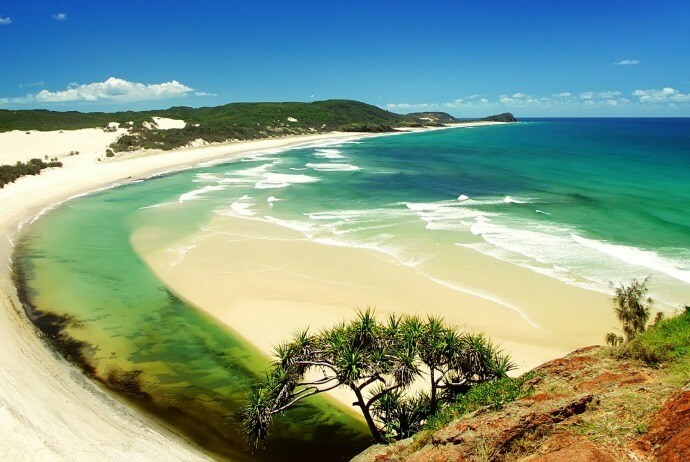 In contrast, the time from mid September to December might be the most suitable for Southern beautiful beaches. For instance, from October to November, they are rainy months in Nha Trang with damp weather which could spoil your long-waiting vacation with beach and sun. similarly in the central area of Vietnam, particularly Hoi An (Hội An) and Hue (Huế), it usually rains dogs and cats in two late months of the year, though the water might subdue when it gets closer to the biggest holiday of the year for Vietnamese – Tet (Tết) Holiday. Still, the rain might make your plan on outdoor activities somehow interfered. But, in exchange, traveling during this time could help you avoid notorious heat of summer. 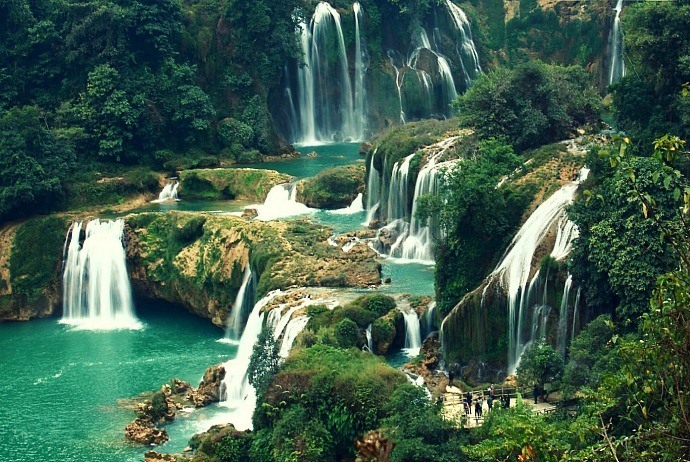 In short, when making a decision what is the best time to visit Vietnam, it is not easy because Vietnam has tropical monsoon climate, meaning that there will always be some places for travelers to visit during the year. With such a complicated weather circumstance as mentioned above, there is no particular season to specifically recommend as the best time to visit Vietnam. In general, autumn from September to December and spring from March to April might be the most favorable seasons if you can cover the whole country.